I am sure this one particular aspect has stumped you when you board any flight. The flight attendant asks you to shut off your mobile phones and they specifically tell you that even “flight mode” on mobile phones is not allowed. 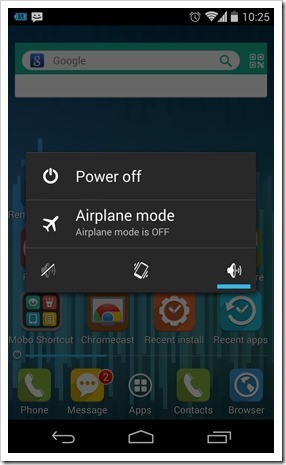 Flight mode essentially shuts off all your voice or data transmission signals. So, no antennas on your device work when you put it in “Flight mode”. This is generally enough world over when you are on board a flight. However, in India as per the DGCA ruling you had to completely switch off your mobile. This rule was stupid to say the least, as Flight mode is specifically meant for situations when you are on a flight. But finally our authorities seem to have come back to senses. The Directorate General of Civil Aviation (DGCA) has decided to allow the use of Portable Electronic Devices (PEDs) including cellphones on flights. According to the release, the use of PEDs shall be in the non-transmitting mode commonly called flight mode. The amended directive now also directs all operators for reporting of any suspected or confirmed PED interference or smoke or fire caused by PEDs to the DGCA. It also lays down the guidelines for the crew training. This decision was taken by DGCA based on demands made by the operators and examining the new and current regulations of the Federal Aviation Administration (FAA) and the European Union Aviation Safety Agency (EASA). Under the FAA and the EASA Regulations, the use of PEDs is allowed in the airplane mode in all phases of flight. So, next time you board a flight you can read books or play your favorite game on your mobile device as long as you have the Flight mode switched on! GigStart Wants to Bridge the Gap Between Artists & Event Managers! Really glad to see this approved finally.